With Art Basel in town, we’d like to offer some advice for newcomers and art connoisseurs on building and retrofitting your home to create the perfect environment that will bring your valuable artwork to life. Hanging the work: Before hanging the painting, you will need to know if your wall is built of drywall, plaster, block or wood. Drywall is not a problem but plaster, block or wood will require screws and often anchors. In this case, we recommend hiring a professional to prevent damaging the artwork. Make sure the painting is properly framed before hanging and do not hang paintings near direct natural light – they can fade from the UV and infrared radiation. Humidity: This is Florida after all and humidity is our biggest challenge. The humidity in your home should be kept within the 20% relative humidity (RH) range in a 24-hour period. You may want to install a dial on the wall for humidity control. Fluctuations in humidity, as well as in temperature, may cause paintings to deteriorate by expanding and contracting. Cooking and bathing produce areas of climate change in a house/condo so make sure to pick the correct wall. Lighting: When we perform a home build out, we often start by lighting up the area where the artwork is located at the ceiling level. We might also retrofit the wall to install picture lights that bring out the colors in the painting/s. As mentioned before, continuous exposure to ultra violet rays can be damaging so minimize exposure to natural light. 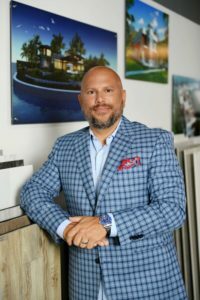 Tony Rodriguez-Tellaheche, co-founder and managing broker of Prestige Realty Group, sat down with SPACiO Design Build to discuss today’s luxury real estate market in Miami. The boutique brokerage firm focuses on luxury homes and high-rise condominium sales. 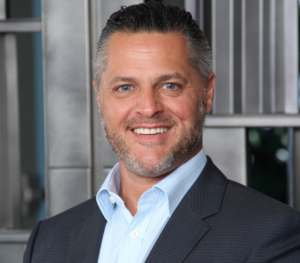 As a Miami native, Tony has seen the transformation of Miami from a beachside destination into a bustling and sprawling metropolis attracting buyers from all over the world. WHY DID YOU DECIDE TO START YOUR OWN BROKERAGE FIRM? My business partner Christopher Hodgson and I wanted to create more of a boutique real estate firm, offering clients personalized services that the larger firms don’t offer. When someone hires Prestige Realty, they are hiring our entire team of over 23 agents that are available 24/7 to serve our clients. We also wanted to create a firm with an international reach. My partner is from London and I’m from Miami so we really have a global reach. Our approach seems to be working. Last year, we sold more than $50 million in real estate and I was recognized by Real Trends and the Wall Street Journal as one of the America’s best Realtors. WHAT SHOULD CONSUMERS KNOW ABOUT MIAMI’S REAL ESTATE MARKET? People always ask me how the market is doing and I always ask which one. Most real estate consumers assume Miami- Dade County is one market but in reality it’s composed of many different markets, all of which have their own character. 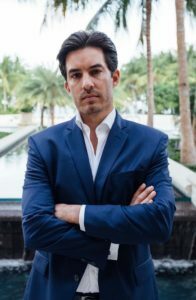 I take a neighborhood approach to real estate, mostly focusing on single-family luxury homes and condominiums in Coconut Grove, Key Biscayne, Coral Gables, Pinecrest, downtown, South Miami and Miami Beach. Every market is its own special ecosystem. One may be booming while the other is down. Overall, in the submarkets I focus on, the market hasn’t slowed down significantly. It’s a healthy slow-down with plenty of inventory available. People need to realize that the pre-construction condos are different from single-family homes and a slow-down in that particular sector is not an indicator of the overall housing market. Miami’s luxury real estate is very dynamic and can’t be generalized. For example, we have noticed that demand for Mediterranean style homes has decreased while modern and turnkey homes remain hot with buyers. WHAT IS THE MOST IMPORTANT PIECE OF ADVICE FOR SELLERS? The most important piece of advice for sellers is to hire a brokerage firm that’s tech savvy and will invest in their listings. You don’t want a realtor who is taking photos of your property with an iPhone. At Prestige Realty Group, we hire professional photographers and videographers who often use drones to get the best visuals possible for our listings. We want prospective buyers to have a 360-degree view of the property they will want to purchase. Sellers should also work with brokers who are advanced on social media. Technology is a major part of our lives now and should be an integral component to any realtor’s strategy for marketing and selling a home. Another important piece of advice for sellers is to keep their homes clean and free of clutter when it’s on the market for sale. Many underestimate the power of staging, which is not the same as decorating. You need to stage your home into a place that potential buyers can envision living in. Remove all your personal items including family photos, books and other items that may distract your potential buyer. You want your house to be known as the one with the beautiful kitchen, not the one with the overbearing collection of crystal figurines. 1. Hundreds of new condos are hitting the rental market simultaneously. 2. Hundreds of new luxury rental units are either nearing completion or under construction. 1- If the newly-built unit comes ‘decorator ready’ – which means the floor, walls, closets, etc. are not finished – you will need to paint the walls, add flooring and build-out the closets. A solution: weeks before the closing date, recruit a general contractor to start planning the build-out of the unit. This way, the GC will start work as soon as the unit becomes yours, saving you weeks of ‘waiting time’ and placing a tenant in the unit much faster. 2 – For the walls, stick to neutral colors. Stay away from bold or ‘white,’ which will make your unit seem dull and potentially scare away tenants who may not have the creativity to envision the unit as their home. 3 – Basic Standard Materials: if your unit requires a build-out, do not use the same type of materials that you would install in your own home. Your tenants are not going to treat it with the same quality of care, so don’t overspend. For flooring, we recommend porcelain tiles because they are stylish, durable and low maintenance. They also work well in balconies and blend with the interior flooring. 4 – Invest in a practical built in closet system throughout the unit. 5 – Most new units come with the kitchen and bathrooms already finished. But if you plan to upgrade the kitchen, avoid white cabinets. Earth tones are ‘in’. Also consider upgrading fixtures such as door handles, faucets, etc. 6 – Open floor plans: if the unit seems small, consider knocking down walls to open up the floor plan, which usually involves combining the kitchen, dining and living areas into one large space. This will increase the natural light and create the perception of increased square footage. For more ideas, give us a call. We have some great concepts to build out new condos and modernize older units. SPACiO Design Build recently completed the build out of several units at SLS Brickell and looks forward to the completion of several more. We are proud to be offered the opportunity to add value to one of the most recognizable towers in Miami. Four weeks after receiving the permits, we completed the job on time and on budget. 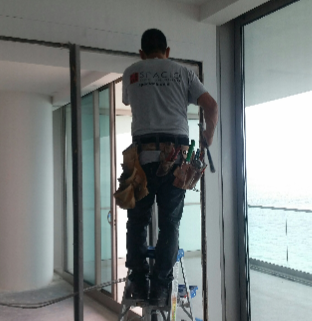 The SPACiOs team installed interior and exterior flooring throughout the condos. Some interiors featured white 32” x 32” porcelain tile with 10” x 40” light gray porcelain tile on the exterior that resembled wood. 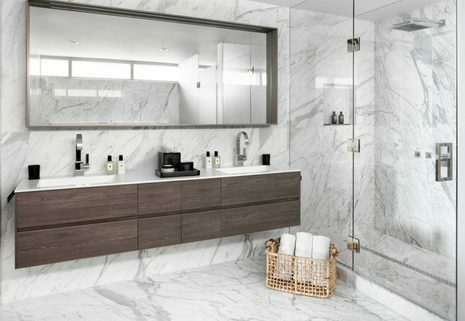 Other units included 21” x 42” porcelain tile, resembling Carrara marble, installed on both the interior and exterior. Our clients’ choices reflect the contemporary trend of choosing flooring that harmonizes interior and exterior colors and patterns. We also installed solar blinds in the living areas, blackout blinds with side channels in the bedrooms, custom closets in the master bedrooms and other bespoke touches. In many of the units, the tile and paint colors complement the existing cabinetry and countertops delivered by the developer – giving the unit a warm, cozy look. Each unit also includes stunning custom finishes that express the style and personality of the owner, creating a lush backdrop for the exquisite details in the décor that accent each room. And we won’t forget the view! A sleek 55-story tower that features floor-to-ceiling glass windows and doors, SLS Brickell combines panoramic views with the comfort and convenience of a 5-star hotel. 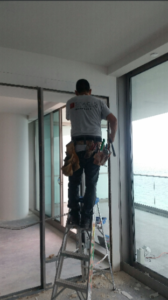 In fact, we are noticing an emerging trend: owners transforming their high-rise condominiums by creating a polished look that resembles a hotel suite. With all the amenities offered by SLS Brickell and the unrivaled view, SPACiO is proud to have once again been chosen to deliver custom luxury, on time and on budget, to one of Miami’s most impressive towers. It is almost impossible to talk about Miami’s luxury real estate market without mentioning Realtors Jill Hertzberg and Jill Eber. Mansions Global recently got up close and personal with the two Coldwell Banker agents and SPACiO couldn’t pass the opportunity to share some of their insights with you. 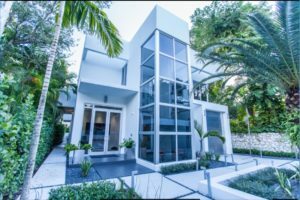 As a general contractor of luxury custom homes and condos, we recognize the hard work and commitment these brokers have made to reach the top of their profession. Jill Hertzberg: My dream property would be in an amazing location—it would be on Miami Beach on the wide-open bay or Golden Beach directly on the ocean. I love rooms that have views of gardens or water, a smart home that makes everyday life easy, furniture that is comfortable and somewhere that you feel you are living in a true treasure. Jill Eber: Sure, we have those in our shopping cart. You cannot get them all. But there is plenty for everyone so you love the one you’re with! JH: Luxury is a feeling. It is a combination of multiple factors, which include high-end brands, quality material and finishes and décor that really stand out and make the total look and feel very high end. Whether it is jewelry, a car, a property or even clothing, the attention to detail and materials is readily apparent. JE: Fort Lauderdale is really coming on strong for both affordability and lifestyle. With so much water from the intercostal to the ocean, it gives a lot of opportunity for upgrading existing housing and taking advantage of the beautiful views. 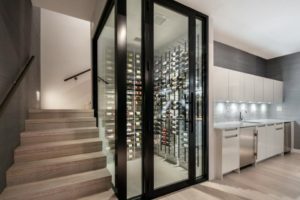 JH: Luxury real estate keeps evolving; from condos with private pools to custom items on the property such as a sound studio or off-the-charts media rooms. As properties continue to have smart home elements incorporated and possible “bots” that can perform duties, there is really no limit to what an owner may choose to add to their homes. 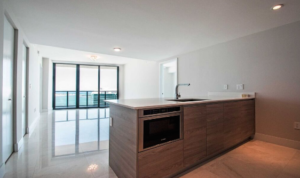 JE: The best homes are here in Miami Beach. I have traveled around the world and constantly get amazed at beautiful properties with breathtaking views and unbelievable amenities. But I always return home with an appreciation for all we have here on the Beach. It’s not just the grand estate and palatial amenities that make the area so special, it is the “you can have it all” splendor of our area. We have culture, dining, sports, entertainment, celebrity, fashion, world class events, boating and the list goes on. Very often, it is within walking distance or a short hop from where you live. We truly have it all. MG: What is your favorite part of your home? JE: It has to be the outdoor living. 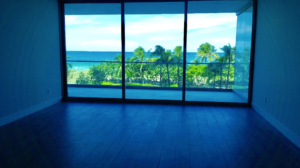 We seamlessly combine our indoor space with our outdoor space and the balcony of my condo on Fisher Island is just a tropical extension of my property. I never tire of the beautiful water, open sky and the healthy ocean air steps from every room in my home. JE: I love finishes and have the most extraordinary stone in various places in my home. In addition, I have high-quality personally crafted furnishings that were done by my father. I think you can describe my property as personal elegance. It has a private personal feel surrounded by wonderful finishings and loving memories of my dad. JE: Well…that would be my husband and my two doggies! Aside from them, it is the personal crafted furniture that was created and built by my father. JH: Bathrooms and kitchens are always the key. You can have a beautiful foyer, grand entrance and staircase, upscale finishes but lose the interest with a buyer due to outdated bathrooms and kitchen. JH: Make sure your real estate professional demonstrates their expertise and knowledge of the local market. Nothing replaces knowing everything that has sold, did not sell, sold years ago, been updated/renovated and the movement in the neighborhood. It’s not just about the house itself; it is also important to know everything that has gone on or will be going on around the property. You cannot underestimate the value of a realtor who knows the inventory extremely well, both on and off the market. If you’re a buyer, you don’t want to find out you missed the best property and if you are a seller, you want to get the best price obtainable. JE: The new administration in the White House, of course. Policies that are made can affect real estate: the stock market (which affects real estate), immigration, foreign investment, EB-5’s and the list goes on. Everything in the U.S. is affected by real estate and so much that goes on that impacts consumer outlook affects our business. What area currently has the best resale value? JH: Waterfront is always your best bet. Some views are just priceless and if you can get one of those on a good piece of land, you will always be in a good position.